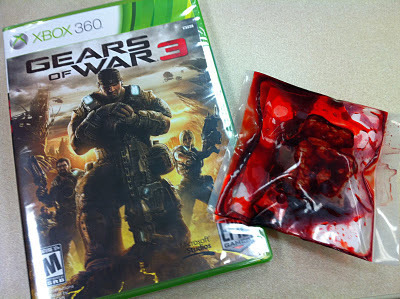 About a week ago I received a package in via courier containing a small, vacuum-sealed bag (see image left) inviting me to the Gears of War 3 Launch Event in Toronto. Of course, this wasn't any ordinary sealed bag, it looked like a bloody mess and naturally that was the whole point. 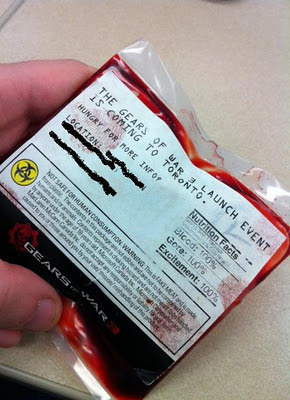 The content of the bag was a piece of hacked up Locust, the humanoid, bestial creatures that threaten humanity in the Gears of War series. 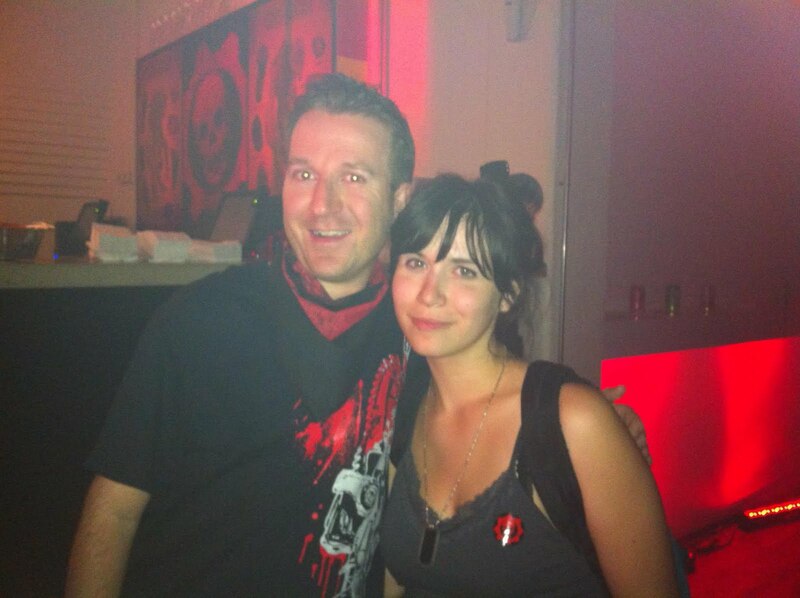 Fast forward to the weekend and Microsoft held the event at The Hoxton, a sprawling pub venue located on King West. 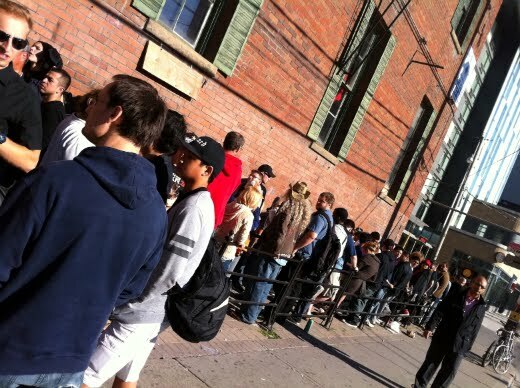 Hundreds of eager gamers lined-up for their chance to play "the most anticipated game of the year" according to Microsoft (and they could be right...unless Modern Warfare 3 would like to dispute this). Inside the location the lights were turned way down and most were replaced with red bulbs giving the whole place an eerie gore-like feeling to it. Seemed appropriate enough considering the game is rated M for Mature and the back cover warns of "Blood and Gore" and "Intense Violence", but if you've played other Gears of War games you already have come to expect this. 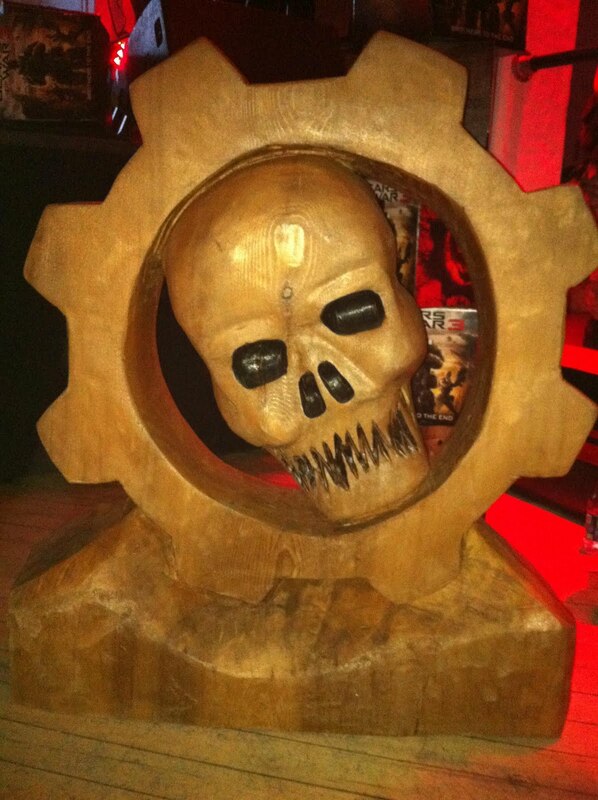 Scattered around The Hoxton were a number of themed stations ranging from a tattoo table, where fans could get the Gears of War 3 logo, or the COG skull symbol spray painted onto their bodies. 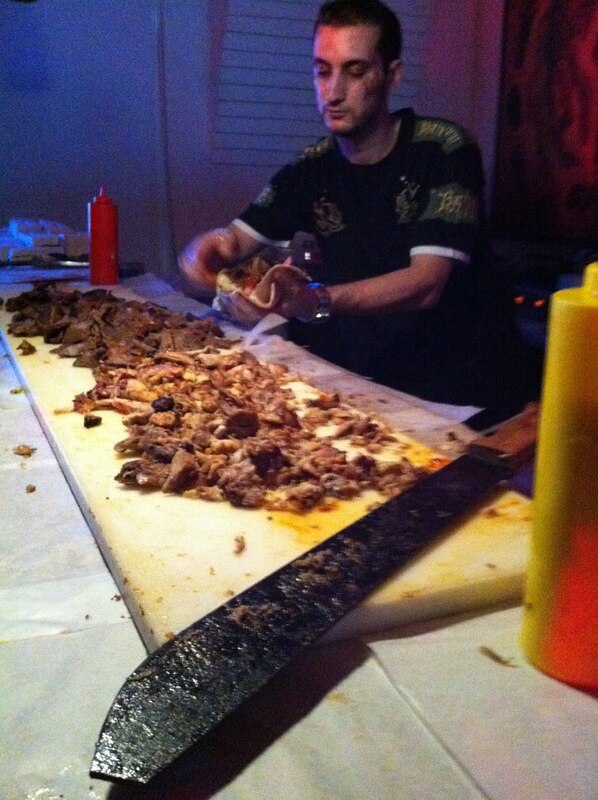 There was also a meat carving station dishing up Locust meat pitas (so I guess I did end up eating Locust meat!) which were wrapped in Gears of War 3 promo material, a "Lancer" carving professional who used a chainsaw to carve out a fresh COG from a large block of wood, and a green screen area where fans could hold authentic lancers and superimpose themselves into the game. 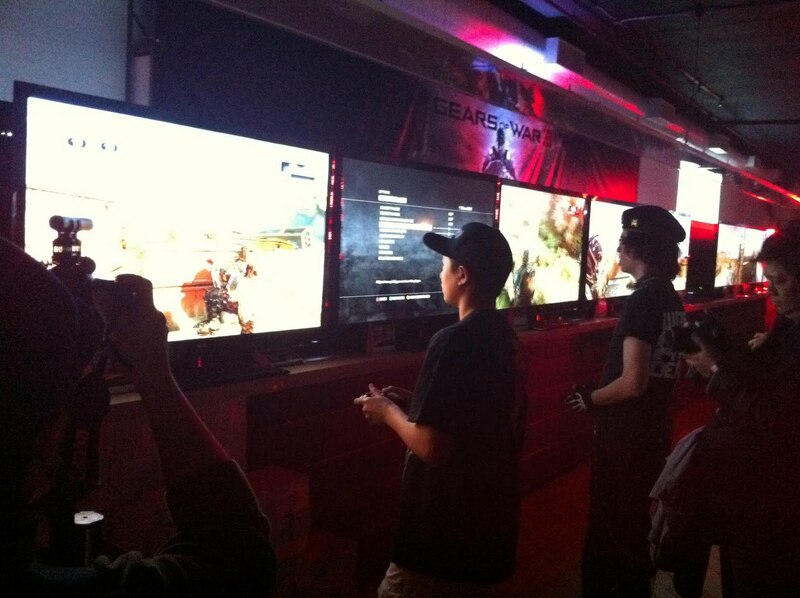 Naturally, there were plenty of gaming stations around the room where fans could play some Team Deathmatch, or check out what Gears of War 3 looks like in 3D thanks to a station set-up by LG. In the four hours I was at the event there wasn't a single moment where any of the game stations were vacant, showing just how popular this franchise is, and how eager fans are to get their hands on it. 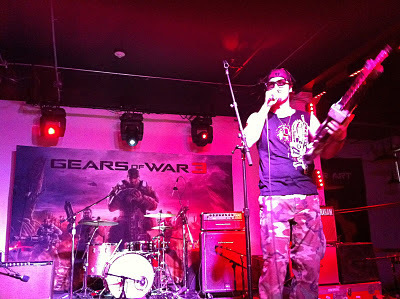 All in all, a really successful event. Congrats to Microsoft Canada for pulling off what could easily be described at the best gaming launch event of the year. 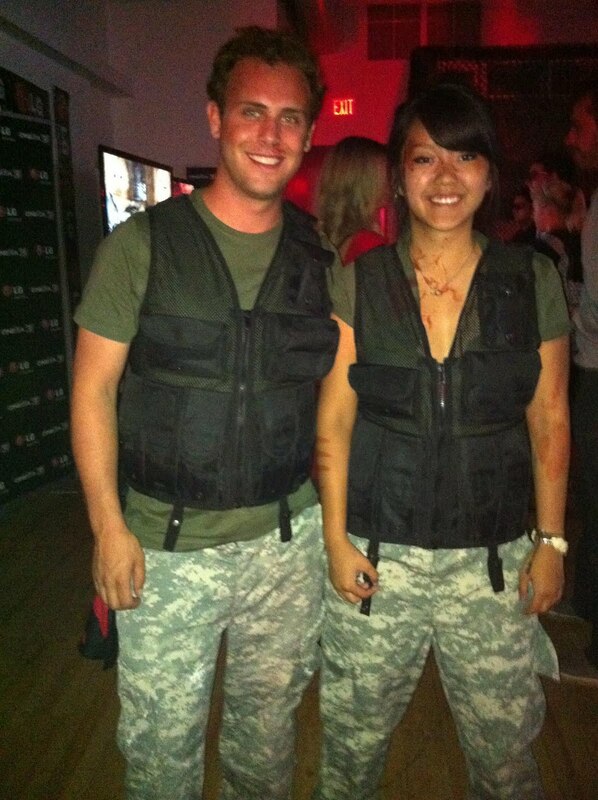 Well done, and game on!